Her father was an officer of the Neapolitan army and she was already orphaned when she was four. She studied singing under Jean de Reszke and Pauline Viardot-Garcia in Paris. In 1908, during a guest performance at the Berlin Court Opera, she caused a sensation as Aida and from 1911 to 1914 she was a member of this opera house. In 1912 she performed at the Hofoper in Munich, in 1913 at the Grand Opéra in Paris, where she performed as Valentine in "Les Huguenots" of G. Meyerbeer. In the 1914-1923 seasons she was engaged by the German Opera House in Berlin-Charlottenburg. 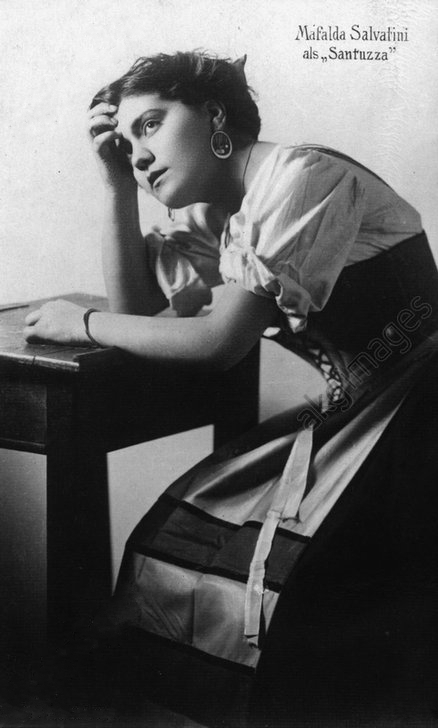 Although in the 1924-1926 seasons she again appeared at the State Opera (the former Hofoper) in Berlin, but came back in 1926 to the German Opera House, where she continued her career until 1932. In 1926 she created for Berlin the title role in G. Puccini’s opera "Turandot", where she scored one of her greatest successes. In 1927 she was a guest at the Dresden State Opera, in 1922 and 1928 at the Vienna State Opera, in 1928 at the Riga Opera House. She also made guest appearances in Holland and Belgium, but never in her native Italy. At the beginning of the thirties she married the Lithuanian Ambassador in Germany. After her retirement she lived in the Swiss canton of Ticino.